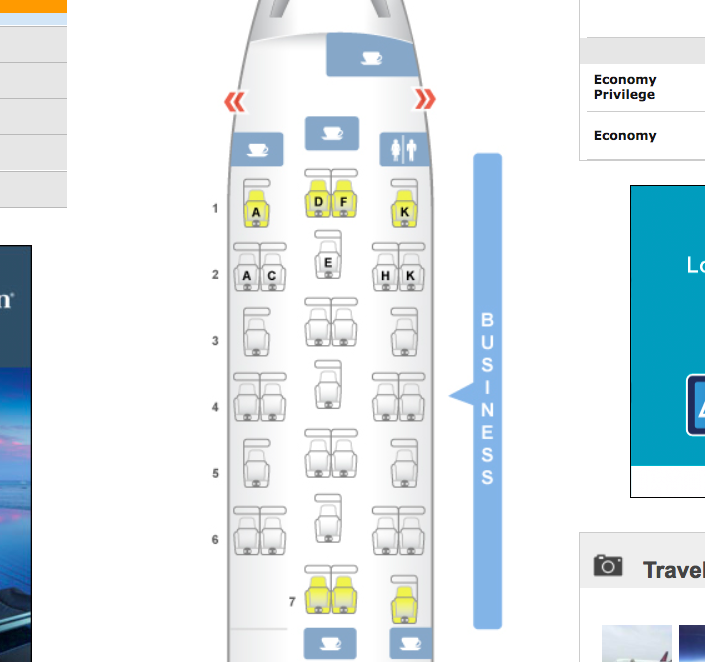 My flight between JFK and BRU was on an A330-300, which in Brussels Business Class has 30 seats in a staggered configuration that alternates rows in a 1-2-1 configuration with rows in a 2-1-2 configuration. 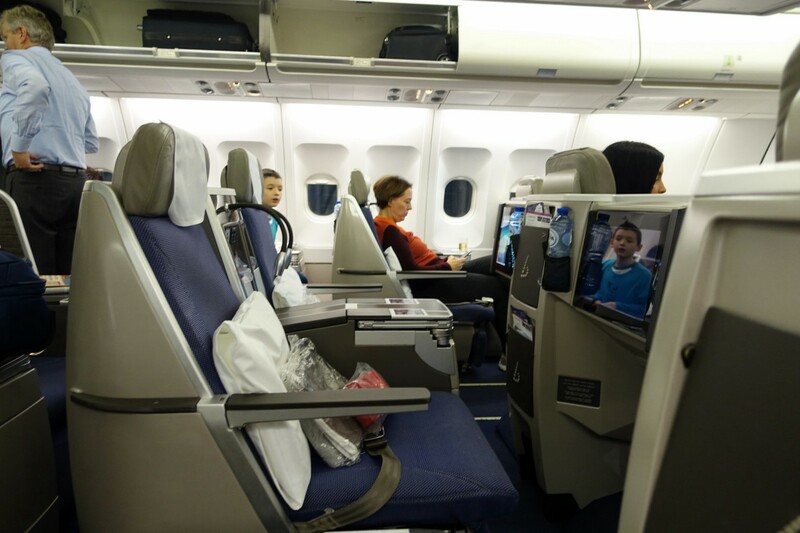 I recommend selecting 3A, 3K, 5A or 5K “throne” seats if you're traveling solo and prefer a window, as these have extra counter space around the seat, or couple's seats 2A/2C, 2H/2K, 4A/4C or 4H/4K if traveling as a couple and wanting the window. On the other hand, if you both want direct aisle access, you're best off in the middle paired seats, such as 3D/3F or 5D/5F. 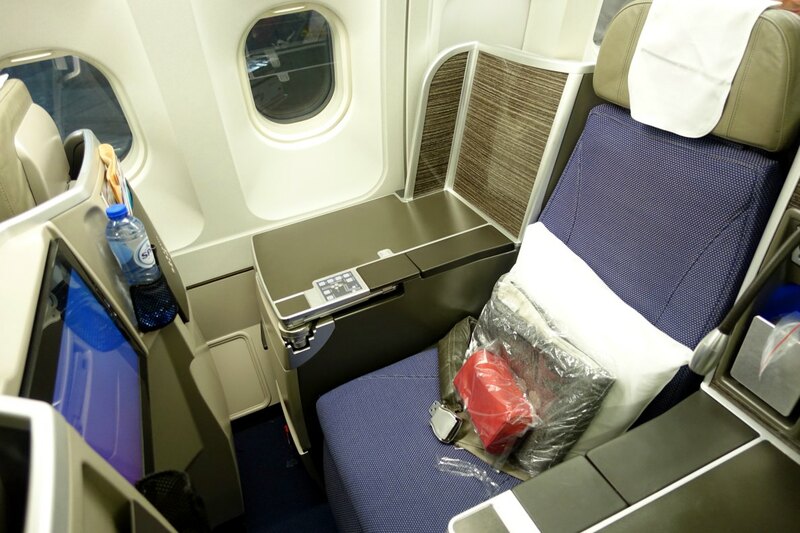 Keep in mind that even the throne seats, while they have more counter space for your personal belongings, are the same seats in terms of width (20.5 inches) and length, which is supposed to be a full 2 meters as a flat bed, but more on that later. 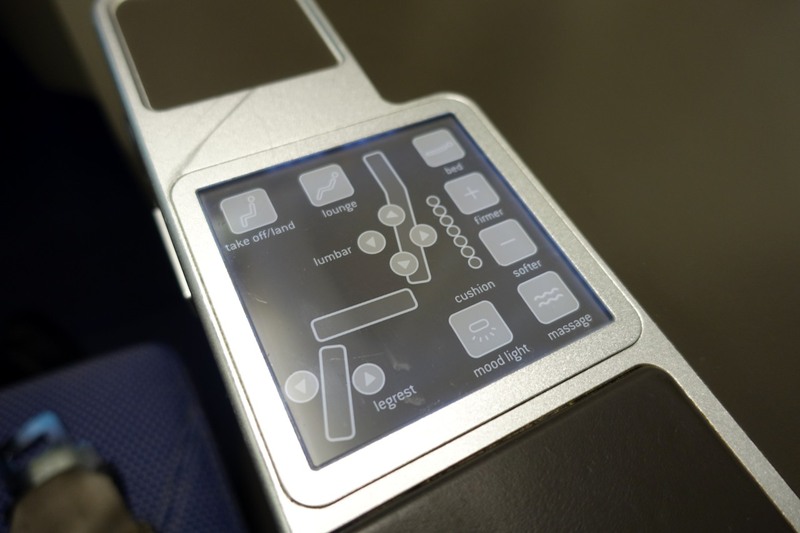 The seats are similar to Swiss Business Class, with similar seat controls and (very light) massage function. 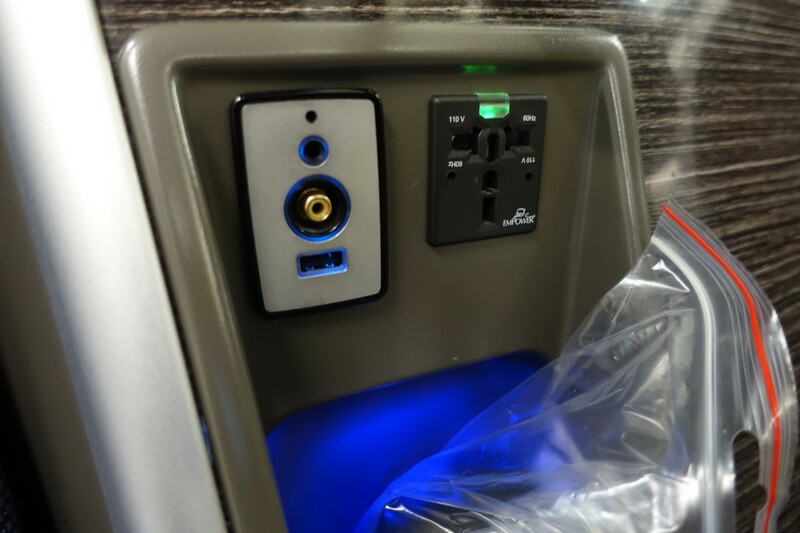 They also have the same tray table operation via a silver button that pops it out quite forcefully (see the video earlier in the post). The footwell narrows down considerably, which isn't an issue when seated or even lounging, but it's another story in bed position. I liked that the power outlet was conveniently located at shoulder height; on some airlines it's awkwardly located lower down. There was a small storage compart below it, which was useful for keeping the amenity kit tucked away. 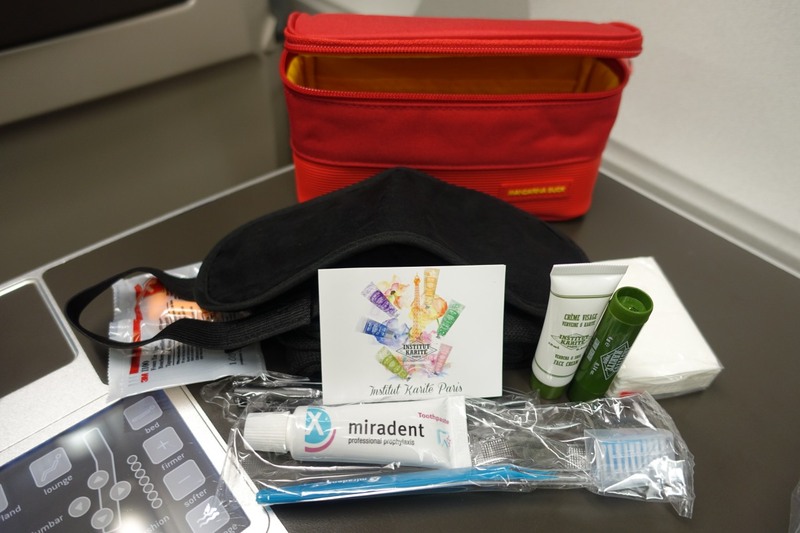 The amenity kit was in a bright red case and fairly basic, but with the essentials, similar to Swiss Business Class. There was a sleep mask with adjustable velcro straps (unfortunately too short, as is often the case), ear plugs, dental kit, face cream, lip balm and socks. Prior to departure, we were offered a pre-flight drink. I opted for water, although there was also Laurent Perrier champagne on offer, which I tried before the meal, with some mixed nuts. Since overnight flights between NYC and Europe are so short, I didn't want full meal service as it reduces the time available to sleep. 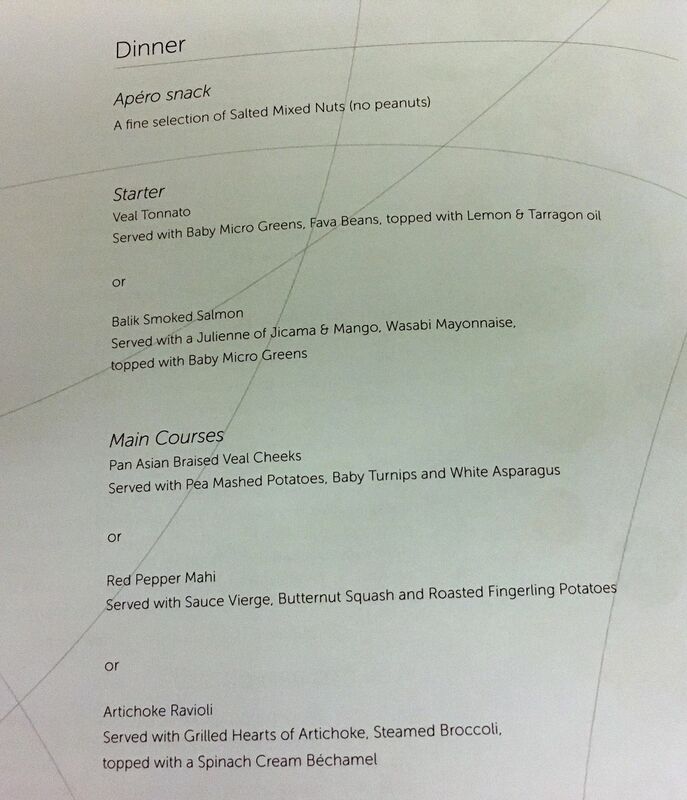 I took a look at the menu and ordered an appetizer and the cheese plate for my son, and two appetizers, cheese and dessert for me. 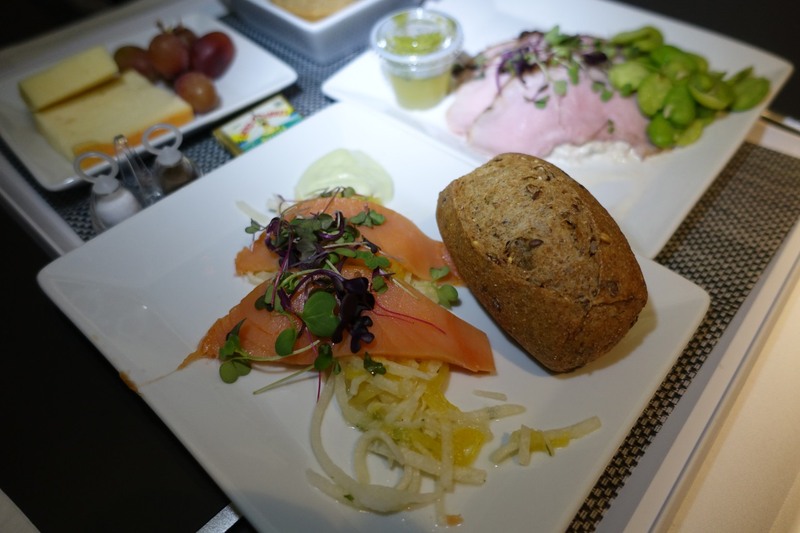 The Balik Smoked Salmon with Wasabi Mayo was a good starter, and my favorite of the items I tasted. The Veal Tonnato was fine, especially with the lemon tarragon oil, although I'm not a fan of veal. 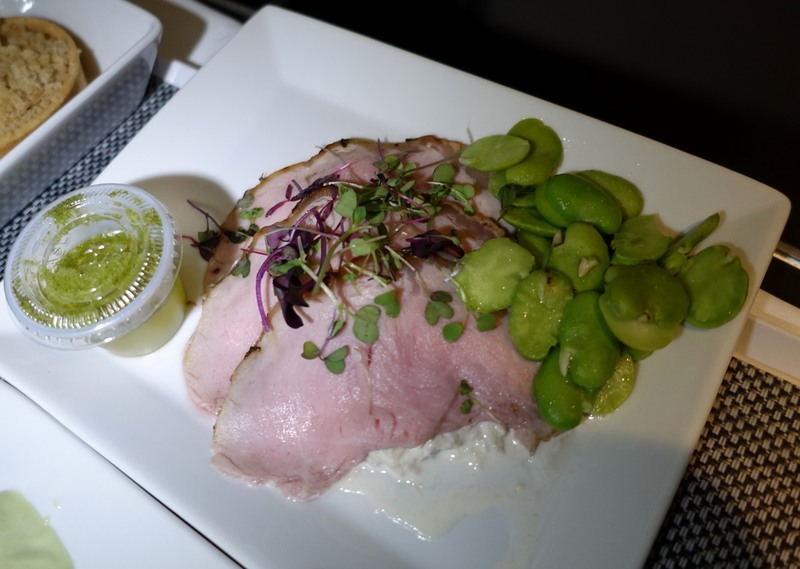 It was nice of the flight crew, however, to allow me to have a second appetizer, after all the passengers had been served, so that I didn't have to wait for a hot entree and could finish dinner early. 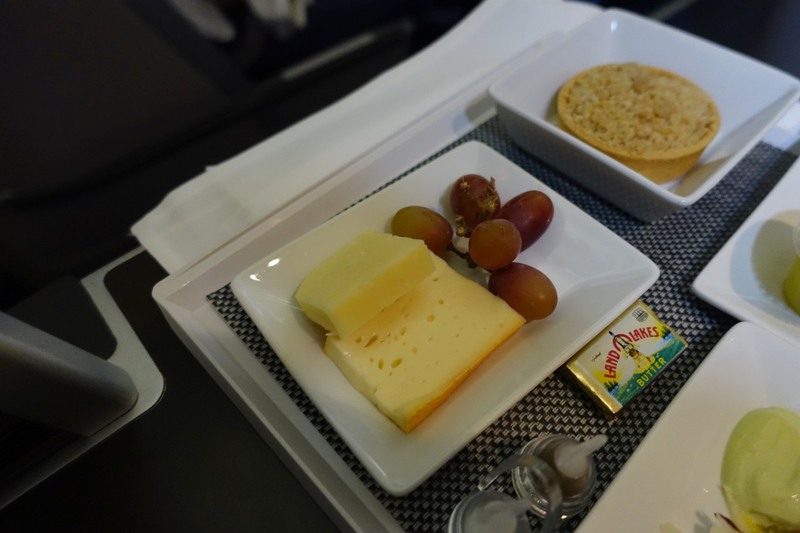 The cheese plate had just a couple cheeses, but I supposed that's to be expected on a short night flight. The apple crumble dessert was mediocre, but it helped to fill me up since I was still a bit hungry after the two appetizers and cheese. 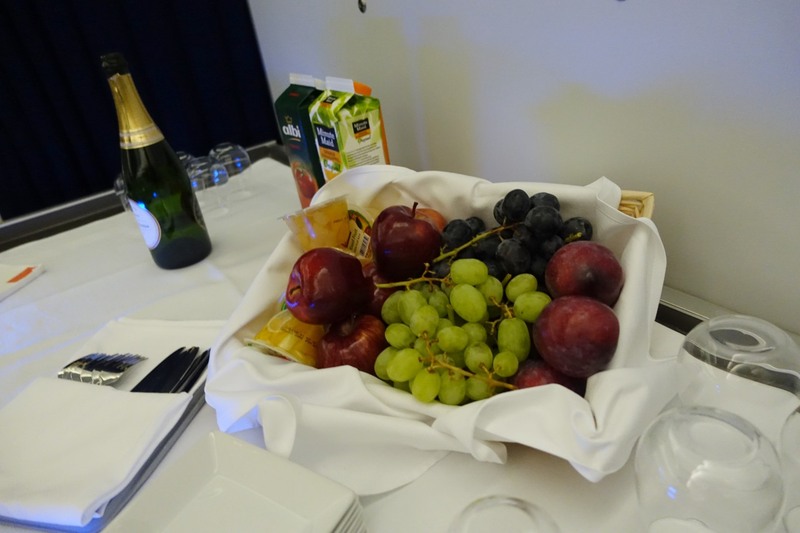 And for anyone who wished to snack, there was a basket of fresh fruit, juices and champagne placed at the front of the cabin that you could help yourself to. 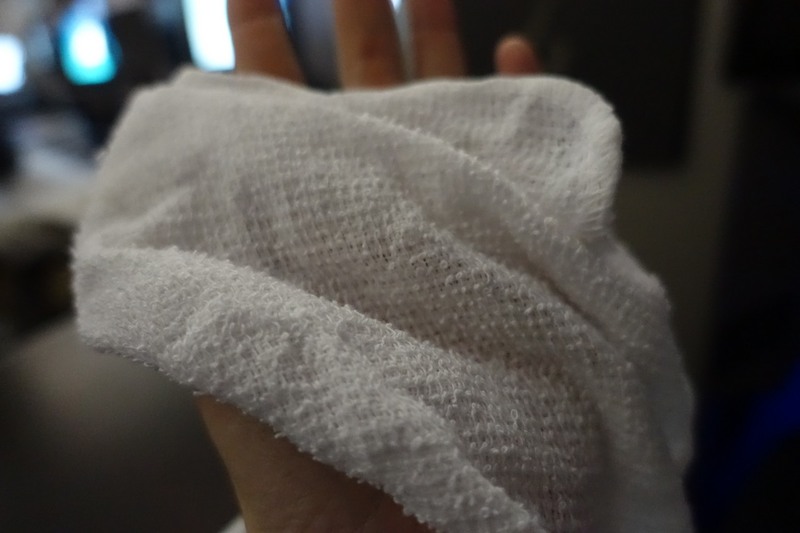 I was prepared with my Therm-a-Rest mattress pad, but unfortunately I didn't get much sleep. The business class bed is flat, with just a slight angle down towards the feet, similar to Swiss Business Class. But the foot well was so narrow that it was hard to shift position comfortably. I honestly don't know how really tall people, over 6 feet, would be comfortable, since they would have even larger feet than I do. 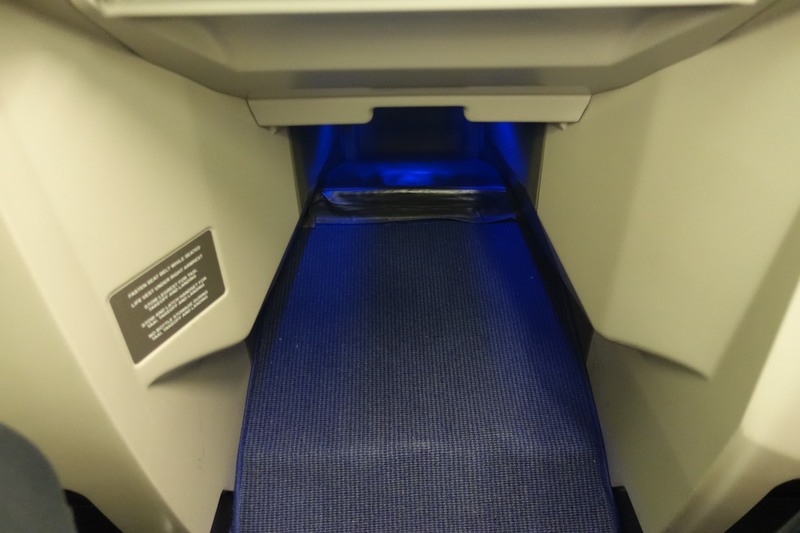 Overall, my experience on this Brussels Airlines Business Class red eye flight was colored by the fact that I got almost no sleep, due to the tight space in the foot well. How I wished for JAL Sky Suite Business Class while I was gingerly tossing and turning, and banging up my knees in the process. Apart from the lack of sleep though, it was a good flight for European business class, even though Business Class was full. The flight crew were polite and accommodated my request for my son to be served early, so he could get a head start on sleeping. The balik salmon appetizer was very good, and the lemon tarragon oil that anointed the veal was tasty and I liked that I could pour it myself. 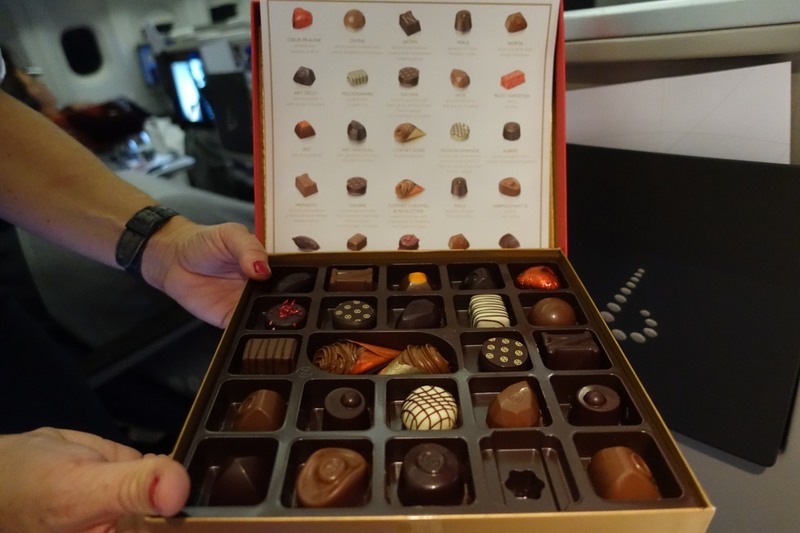 The cheese plate was rather meager and dessert was mediocre, but the Neuhaus chocolate farewell gift made up for it, as the chocolates were actually delicious, for pre-boxed chocolates. 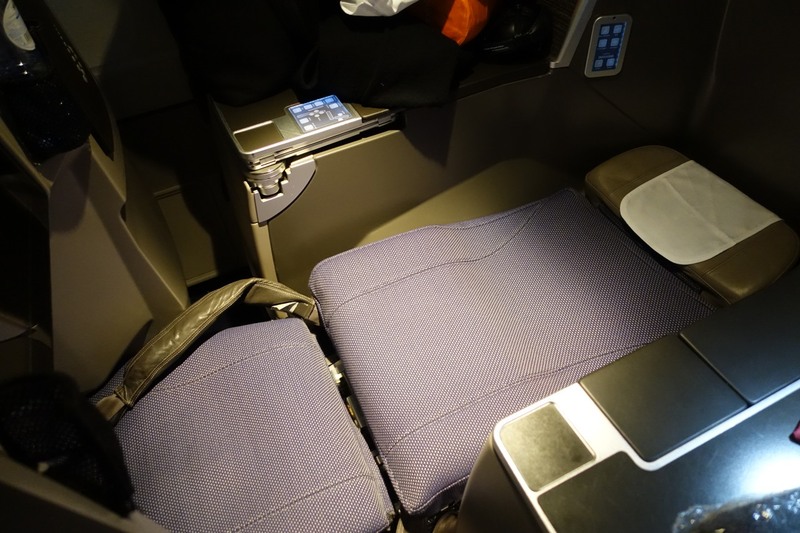 I wouldn't hesitate to take Brussels Airlines Business Class for a day-time flight, just not for an overnight flight.